Are you a new natural or recently BIG CHOPPED? Welcome to the community! Are you looking for a unit that is short and resembles your natural texture while you grow out your hair? 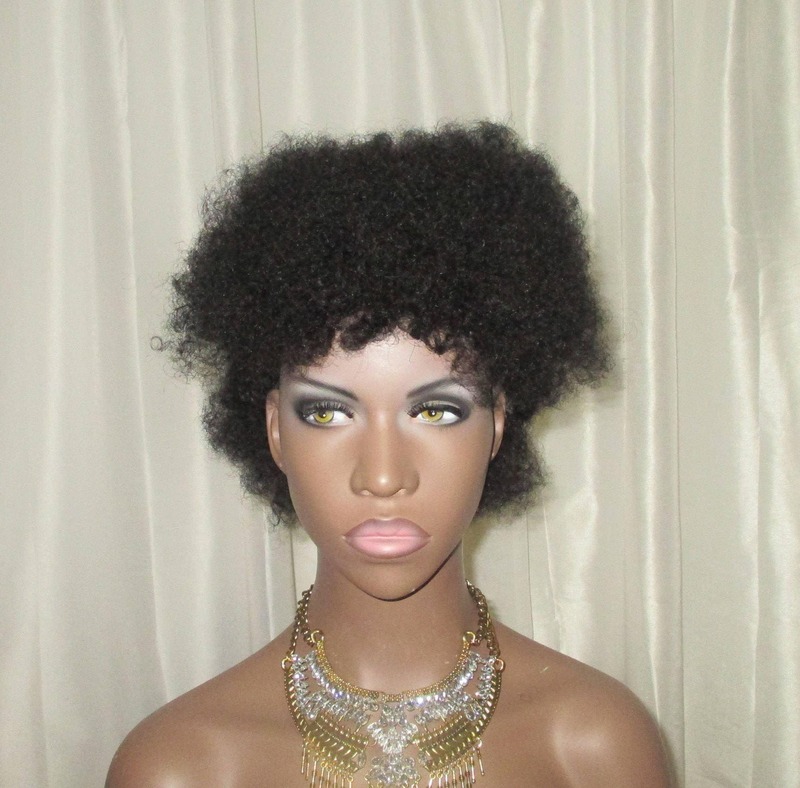 We introduce this 100% human hair unit; the first of its kind: It's the "Baby Bee Fro" Unit. If you're newly natural, it can be quite tedious learning to style and care for your own hair. This unit Is really short, no fuss natural hair. Get a bit of length with this TWA unit as you wait for your hair to grow in length! Picture 2 shows the unit pinned in a style and picture 3 shows the unit turned to the side. You can style it any way you like with whatever your choice of product! Maybe you aren't a newbie natural and just enjoy wearing shorter hair. The "Baby Bee Fro' is just for you! 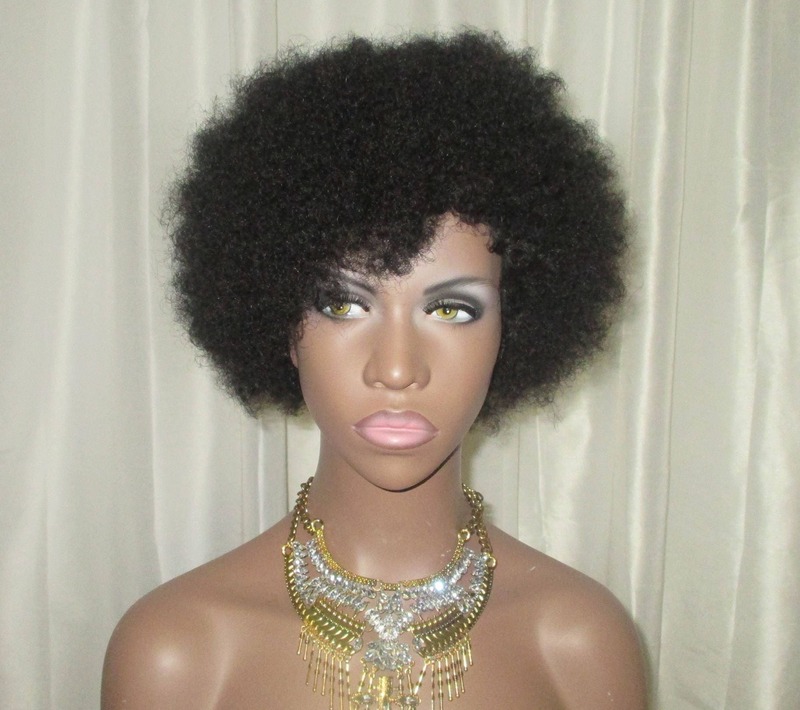 It's kinkiest in texture and will give you the natural fro look that you've been wanting! 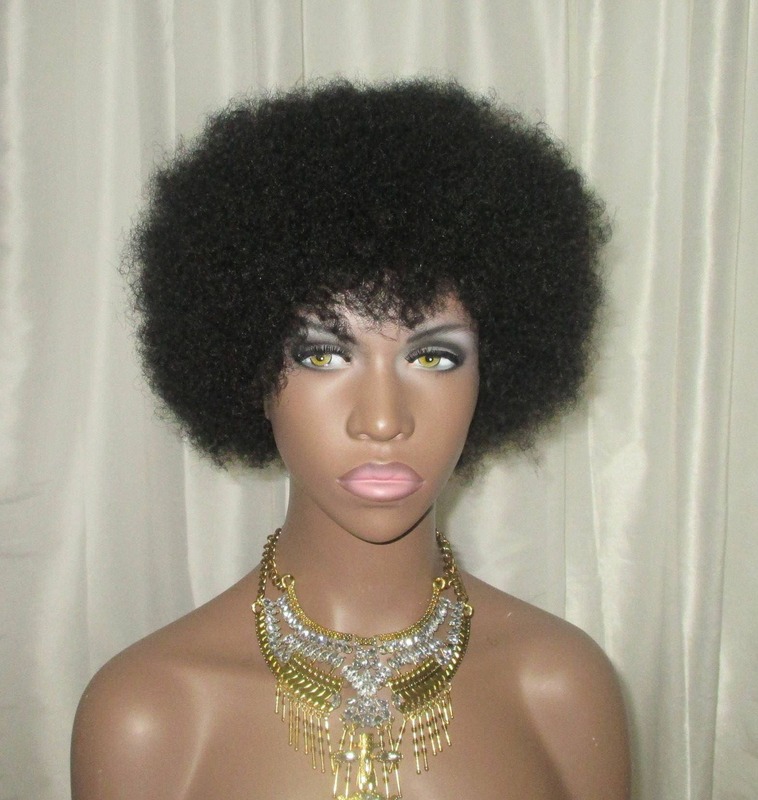 This is a FULL CAP wig and is large enough to fit over your natural hair. Cap has adjustable straps to ensure a custom fit!